Etsy's stock is soaring at the opening bell after the online crafts company announced an increase in fees and boosted its revenue outlook for the year. The Brooklyn company said Thursday that the transaction fee charged when a person or business makes a sale will rise from 3.5 percent, to 5 percent. It will also apply to the shipping cost. The fee will be increased starting on July 16. 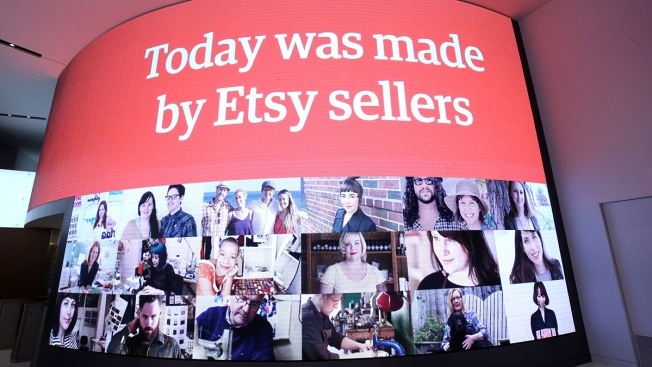 Etsy Inc. has 2 million active sellers and nearly 35 million active buyers. The company now sees 2018 revenue growth of between 32 percent and 34 percent. Its prior forecast was for 22 percent to 24 percent growth. Shares jumped more than 23 percent in early trading.